My friend Freddy Ramirez writes a terrifically engaging racquetball blog called Restrung Magazine. We have been communicating online for some years and frequently discuss ways in which racquetball (or racketball) can find some harmony with squash to produce some mutually beneficial outcomes. We frequently discuss the differences between the sport of racquetball which is popular in the Americas, and the upstart version of racketball which is growing in the UK. One frequent topic of conversation is the perceived rift between squash and racquetball in the USA and the class-led stereotyping that drives those apparent divisions. One recent discussion concerned the provision of public, open-air courts in New York City. 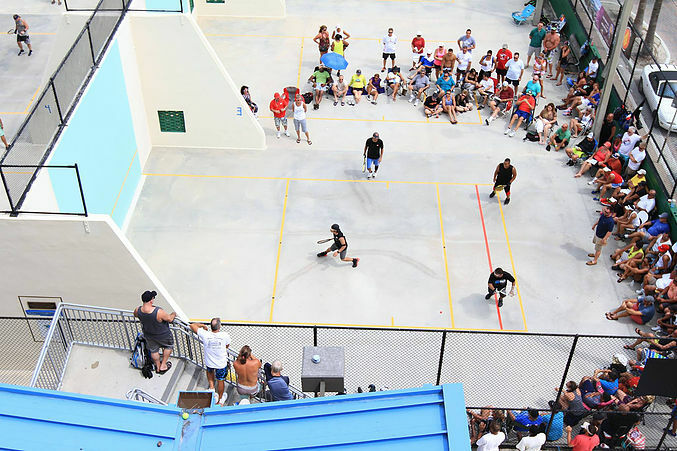 Racquetball already has a whole load of open-air courts if you fancy a trip to sunny California. There are tournaments galore. The whole scene looks full of fun and energy. Maybe these facilities could be shared by both racquetball AND squash? In an ideal world we would get clubs, coaches, players and federations to start talking to each other. Video. Where is the video? Where are the highlights? Where are the short clips that run through my feed that I will inevitably click on that engages me? This is especially troubling to me because I follow professional racquetball hard. Or at least try to. I want racquetball to be experiential outside of playing with my groups. I enjoy writing about the players and how they progress in their rankings, something that is hard to do without substantive video. I can honestly say, this season felt like a total bust where video is concerned. I read an article that had me completely frustrated for racquetball during the last two weeks. The piece, titled “Thanks To Youtube, Squash Is Your New Favorite Sport”, had me realizing that if my passive behavior online is any indication of what my favorite sport is, the title was talking about me. I watch way more squash than I do racquetball. I am introduced regularly to new top players through the course of a season. I have developed the habit of clicking on almost all of the short videos that now pop up in my feed regularly. I almost knew exactly where the writer was going even before I could finish his paragraphs. Over the last couple of years, I’ve written a ton about what the tours haven’t even come close to doing, which is use video to build up casual NEW interest. 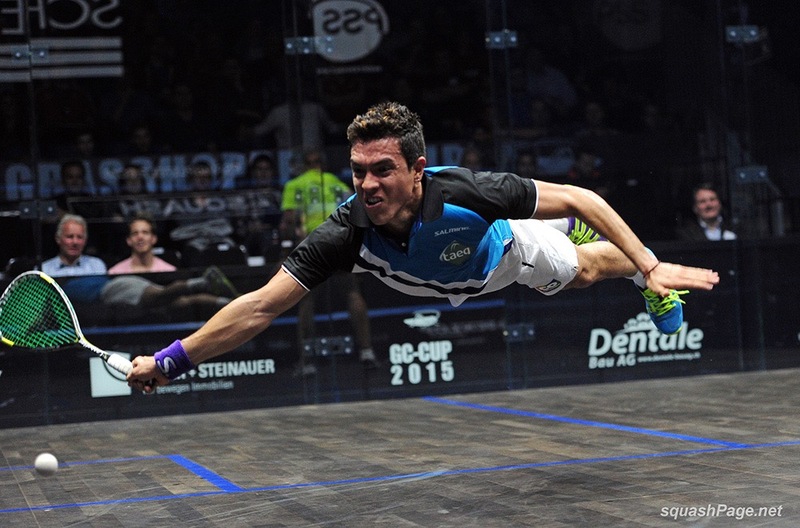 By just writing this article, the author, Mikey Jarrell, directly represents an engagement value that the Professional Squash Association has deliberately worked for over the last two years. * More aggregate traction with presence that directly contributes to larger pools of money for events leading to more and overall bigger events. * Learned / learn how to more easily produce content that draws and holds meaningful engagement. * Provided a platform for players (their product) to negotiate for themselves more lucrative deals for potential sponsors / advertisers. The move to condensing match action and getting it out fast was a deliberate decision and incorporated into their operating strategy. It is not passive, where as long as someone shows up with a camera and streams, then that’s it. These videos are recorded then crafted based on the action AND the players. 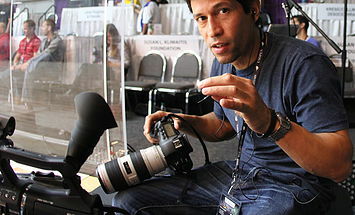 Videos are easily available to anyone wanting to see them, and better yet, it’s the videos themselves that turn viewers into active fans, fans who aren’t formally playing squash, or only playing with their friends and take note along this line, the writer breaks down his favorite top players and draws his comparisons of other sports figures based on their game styles. This type of pro tour engagement would not have happened with just an available free live stream or a paid membership. What free does is it gives someone who is already highly engaged the option to decide to sit through a 40-minute match and hope for something remotely gratifying. Beyond free, there is continuous work to do. With what is available now with racquetball, well, it’s asking a lot of me (and fans) in today’s social environment to actively try and find action remotely on the level of gratifying when you look at the sport in these terms. (So much so that I don’t even try any more mostly.) It’s so much easier to just get my need for racquet action from Squash and call it a day. I can watch squash videos for a half hour and get filled with all kinds of action, as opposed to searching for anything racquetball video related, which almost always leaves me with wasted time online when I do. Right now, I’m way more likely to watch a match that was recorded 10 or more years ago than try and find anything that can keep me watching that has been recorded recently. Thank you to Freddy for giving us permission to reprint parts of his article. It’s nice to hear kind words being written about squash by friends in other sports. The idea of cooperation rather than mindless competition is generally good for all the reasons that Alan and Freddy mention. However the barriers to televising both Racketball and Squash are also shared and stand! The density of detail that is lost maybe greater in the former than the latter but to secure viewership on commercial TV (eg ESPN, CBS, BBC) both need a quantum jump in imaging and computation. This is way beyond the resolution on Squash TV and You tube but well within the reach of modern life and Physical Sciences – which is the most important cooperation to be secured! However, in the interim this remains a good development and our congratulations go to the thought – or afterthought that required visionaries! I mentioned this to Freddie when he first wrote that piece that while I agree wholeheartedly with him and Alan in that there aren’t enough clips and segments of racquetball floating around social media, consider the vast, vast financial gap between squash and racquetball. The comparison isn’t particularly fair. One squash tournament might have the funding of the entire racquetball season. Racquetball speaks in 5 and 6 figures, squash in 7. It’s no wonder they can do more. Also agree with Ferez. We need to rethink the sports to make them more marketable and TV friendly. There is certainly a huge difference in the quality of coverage between squash and racquetball. I love Racketball but can’t find any decent video of my sport – and it’s a waste of time trying to watch racquetball because the ball is invisible as filmed in the USA. The superb camerawork with which psasquashtv covers squash would capture Racketball action even more successfully – and there are some fabulous Racketball players like Daryl Selby whom I really want to see properly filmed. Surely psasquashtv could show some Racketball and win some more followers? While I agree there is more money available to squash than racquetball, I wrote the piece fully aware of the efforts put into racquetball over the past 3 years. In order to develop better quality… Or to learn how to produce engagement, there has been no consistent effort to produce any video that matches how people actually spend time online, and that is the main point of building into quality. There has been plenty of opportunity to create highlight videos, short edited spots that fit into grabbing time from potential viewers… Sharable stuff. I was comparing the consistent efforts, not quality. I think that my latest comment on Alan’s Blog may be informative. 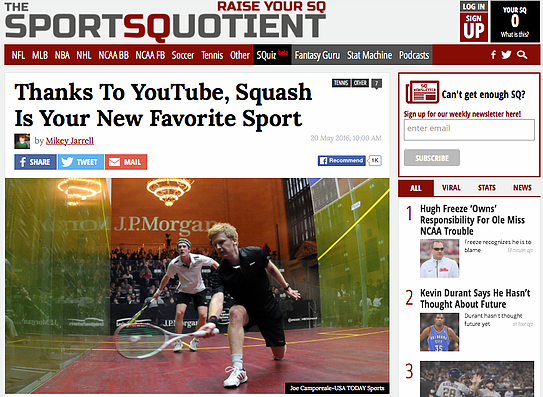 Do you have any evidence that video brings more people into squash, or is that an assumption? How many? Compared to what? Perhaps the numbers on the positive impact of commercial TV coverage in Squash are not as stringently defined as on Golf, Tennis, Soccer, Cricket and the other Mega Sports. However, its global impact on ALL human activities that enjoy such coverage – including sporting, social, political, artistic, scientific and other activities have been well documented (https://www.google.com/#q=Impact+of+commercial+TV+on+society). Do you seriously doubt that a quantum jump in commercial TV coverage would not have a similarly positive impact on the development of Squash and Racketball? I don’t know. Several top UK sports cannot be seen now on terrestrial tv. Short sighted I think. I have no idea if the game is growing due to tv coverage. There is no shortage of Premiership Football coverage in UK, but participation numbers are so bad, they didn’t meet their participation targets, Sport England stopped their development grant 2-3 years ago. I know Soccer has lots of cash but…it’s not a good sign. England Squash also had its grant stopped for the same reason but got it back by agreeing to sack the Board of Directors and reorganise/cut staff. TV is not the panacea , at least short-term.